This post is all Amy’s fault. ;) She linked to a recipe for peppermint patties last week and made me very hungry for them. I figured you wouldn’t mind me testing and adapting the recipe, then sharing it with you. These would be perfect holiday treats to make and share with co-workers or neighbors, or to wrap up to take to a gift exchange. This recipe actually calls for leftover mashed potatoes – how fun is that? Since I had a pound or four of mashed potatoes left over after Thanksgiving, I decided I could spare the 1/2 cup needed to make this recipe. But before we go any further, I need to let you know that this recipe is a little different from those that I usually share. There is not much about this recipe that is healthy. 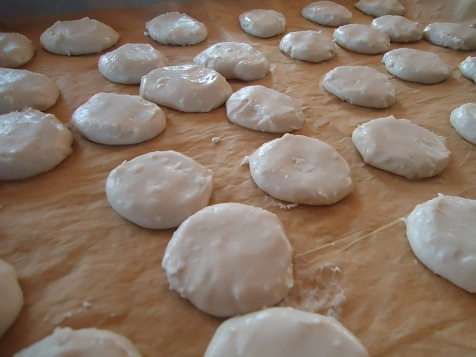 These peppermint patties consist mostly of sugar. Do not make this recipe and serve it to your family for breakfast. Do not assume that since there are mashed potatoes in these, they can be considered a vegetable to be served as a side dish to your pot roast. Do not sit down and eat this whole batch by yourself. Do not make this recipe very often, for these patties are addicting. 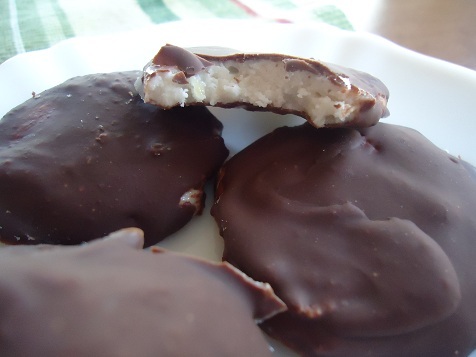 I will not be held responsible for you getting sick off of homemade peppermint patties. In fact, I hereby relinquish any responsibility for influencing you to make these. Just because a recipe is posted here does not mean you have to make it. Nobody here is forcing you to get out your mixing bowl. Actually, you really shouldn’t make these at all. No. You should just read through this post, then nod and smile. Then you should promptly move on to read about something less sugary, like this Angel Ornament post. Yes, whatever you do, do not make these peppermint patties. Press down the dough and shape as small patties. 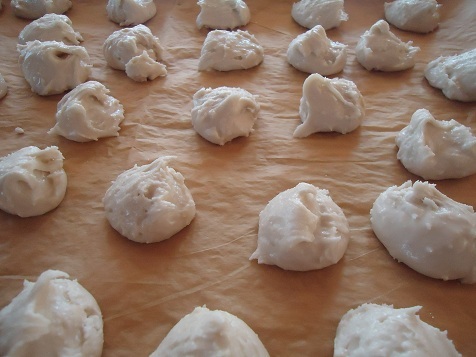 Refrigerate for 3 hours, or freeze for 45 minutes. On the stove top, melt together the chocolate chips and oil. Dip the chilled patties into the chocolate to cover them. Chill until set. Admire the peppermint patties, but do not eat them. Do not even lick your fingers. These look delicious. How many did this batch make? Maybe I should make them to TAKE to a party :o) Then, I don’t have to keep them at my house…I can conveniently FORGET them! I told myself over and over to post how many this made. And still, I forgot. :) It made 38 patties for me. I’ll go edit the post to give that info! Do you think I could make “powered sugar” by blending up evaporated cane juice? If not I will get organic powdered sugar and organic chocolate chips. At least then I will feel a little bit better about them. The recipe looks awesome! Also, my leftover mashed potatoes have sour cream, milk, butter and salt in them. Do you think that will be a problem? Sometimes its not about being healthy, just the enjoyment of something. I love peppermint patties so may have to give this a try. 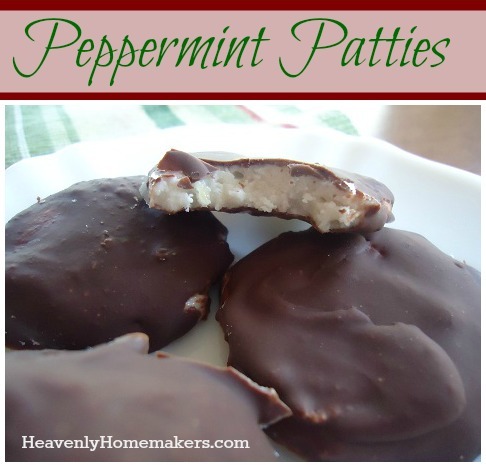 My peppermint patty recipe is a little different but I tried to make them twice last week only to go to the freezer and find half empty pans because the kids ate them before I could dip them in chocolate! Do you have a recommendation on using peppermint essential oil instead of the extract(how much to use instead)? The oils I have can be taken internally and I don’t have any extract on hand–but have TONS of left over mashed potatoes! oils are much more concentrated than extract, which is mostly alcohol by volume, so start with a very small amt, maybe a quarter teaspoon and taste, go up from there. You can also do this with orange oil or cherry extract for fun. 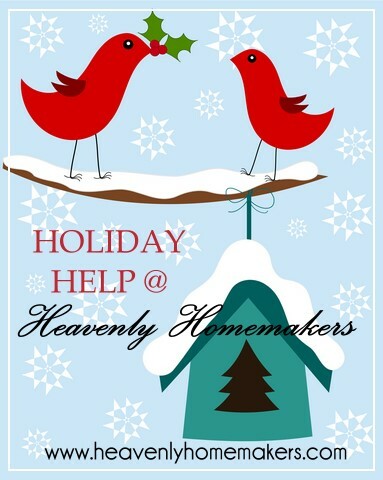 I only use 1 or 2 drops of my peppermint essential oil when making a whole batch of peppermint patties. I have Nature’s Sunshine peppermint oil. Had to laugh when I read this recipe. I’m 100% PA Dutch, and nothing was wasted. Potato candy was a staple when we had leftover potatoes. Mom took a small amount of mashed potatoes (made with lots of butter, milk, and a little salt), added confectioners’ sugar until it was stiff enough to roll out into a thin rectangle, spread peanut butter on top, and rolled it up jelly-roll style. It was wrapped in waxed paper and put in the fridge. When you wanted some, you just grabbed a knife and cut off a slice. It would have been great covered in chocolate! yummm. Oh my gosh, that sounds HEAVENLY! I am going to have to try that….but after its chilled, slice and dip in chocolate. Thank you for this, Edith!!! how was the addition of chocolate? We are Irish and make the exact same thing! We love our potato candy! good to know i’m in such great company! slainte! I saw these recently on a website called Elana’s Pantry. Maybe you don’t have mashed taters but you have coconut oil! Hee hee! You can eat more! Well I have to disagree with you :) The recipe I use to make peppermint patties is FAR less healthy. So, I will be labeling these as a health food :) We use the same recipe except that we use cream cheese instead of mashed potatoes. My daughter Hannah says we need to make these. Thanks for the recipe! Okay Crazy Question!!! Do you think mashed sweet potatoes would be okay…. I have some left over and was thinking of trying this with them.. but of course they won’t be pretty white on the inside! @Sarah, why not use orange flavoring in the sweet potato patties? I made these this evening!! Wonderful!! They taste just like York Peppermint Patties!! I cheated and bought a $1.00 bag of instant mashed potatoes and made them! sooooo good! I rolled them up and sliced them, worked great! I made these this weekend and had a real hard time dipping them. I had them in the deep freezer over night, but they still softened to much in the warm chocolate. Any tips? Would it work to dip them using a fork??? Try sitting them on top of a fork or a slotted spoon and dipping them in the chocolate and letting some of the chocolate drip off of them. or instead of dipping you could drizzle the chocolate over them??? Ok, I’m in a pinch for time. I need to make a few more of these for a school party. Would mashed potatoes made with the potato flakes in the box work and taste the same? This might have to be the first recipe I try with the peppermint extract I have brewing in the cupboard! Thanks for sharing! These are really good and I have an easier way to do them. I lined a 9/13 pan with waxed paper put all the mint dough in pressed it down a bit froze it for 1 hour than poured the melted chocolate over the pepperment and put in fridge until set and then I cut them into little squares. They didn’t look like pepperment patties but still tasted like them and were way easier to do. My daughter and I are making these tonight. The patties are chilling in the freezer waiting to be dipped. As a side note – the link to domesticated doesn’t work for me? Hmm, not sure what’s wrong with that link – she must not have her site anymore. I am going to make some this weekend. I love that they are naturally gluten free. The potato candy really intrigues me. I am going to dip it in chocolate and if I am not too greedy, take some to work. Hi! I am thrilled to find this recipe. I am 63. I learned how to make these in grade 8 home-ec but lost the recipe! thank you!